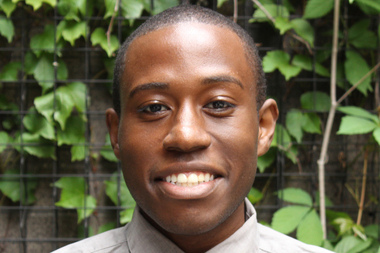 Dartunorro Clark is a Reporter/Producer covering Harlem. Prior to joining DNAinfo New York, Dartunorro worked as an investigative fellow for The Albany Times Union, where topics ranged from corruption to public health, and as a local government reporter for The Journal & Courier in Lafayette, Ind. He has also done freelance investigative research for The Marshall Project and wrote about New York City neighborhoods for amNew York. Although he has grown to love New York City, as a native Chicagoan, he adamantly believes that Chicago’s pizza is infinitely better. Fun Fact: In true millennial fashion, Dartunorro lives in East Harlem with two roommates he found using an app. The weekend festival includes free and paid events, as well as performances. Protesters hissed and booed throughout the meeting, then stormed the stage to protest the vote. The Queens native was hospitalized recently for complications from sickle cell anemia, reports said. The group is one of only three orders of mostly black nuns in the country. The man was found unconscious and unresponsive and pronounced dead at the scene, police say. Paul Feinman would be the first openly gay person to serve on the state's top court if confirmed.